AA Traveller’s 25 publications cover accommodation, activities and maps, and special interest areas including cycle trails, food and wine and golf. The publications, targeted at domestic and international travellers, will be distributed to designated AA distribution stands and locations through VisitorPoint’s comprehensive national network of 37 merchandised distribution circuits. 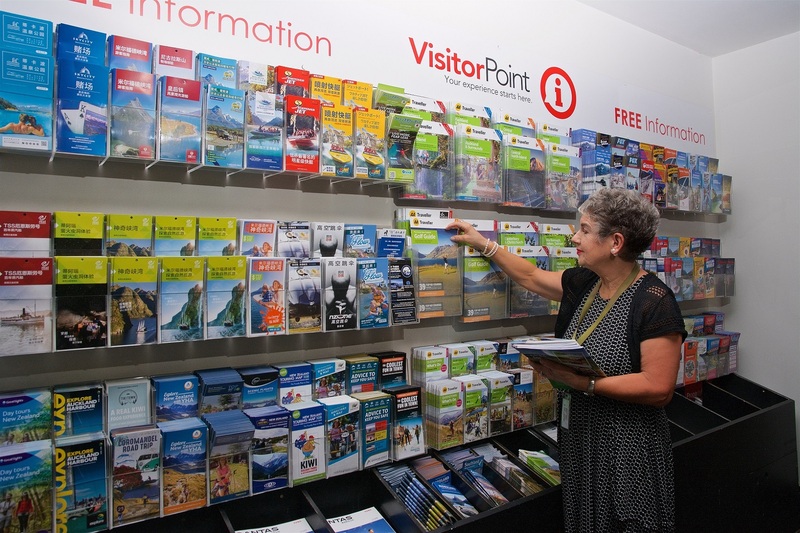 New brochures, guides and directories published by AA Travel & Tourism will also be in VisitorPoint’s remit. The contract is a result of AA Travel & Tourism’s review of storage, distribution and merchandising for its print products, and will secure significant cost savings and productivity improvements for their business. Delighted to add AA’s full contract warehouse services to the company portfolio, Kelly Harland of VisitorPoint says it’s an exciting time for the team. “The agreement is an extension of our long-standing relationship with AA Travel & Tourism, and we’re excited to see it flourish,” she says. “To date, we’ve been managing exclusive displays in the Queenstown and Auckland markets, but nothing on this scale. With the announcement, comes the employment of a new staff member. Having worked with AA Travel & Tourism for over ten years as distribution manager, Eileen Philpot brings her expertise and knowledge to VisitorPoint as national distribution assistant, providing continuity of service and support to outlets stocking AA guides. AA Travel & Tourism General Manager Greig Leighton has congratulated VisitorPoint for its robust processes and expertise in packing and delivery of product. Outlets will now order direct from VisitorPoint’s trade website (www.visitorpointonline.com) from Monday August 13. Groundworks include a raft of ecological and landscape enhancements, the first land titles should go live in late 2020, and once the new golf course is constructed and ‘grown-in’ it should be playable by 2021. Millbrook Director of Property and Development Ben O’Malley says the net was cast “far and wide” for project tendering, with the main earthworks contract going to Grant Hood Contracting from Ashburton. Highly-experienced turf specialist company TIC Golf Projects Ltd has been awarded the main golf course construction project, the same company that developed the resort’s Coronet Nine course, along with a golf course irrigation installation contract. Millbrook is still working through detailed design on works such as roading, reticulated services and the resort’s distinctive schist stone walls. In the initial earthworks phase, half a million cubic metres of material will be moved within the site. A ‘zero cut to fill’ balance means all work will be carried out with material contained within the farm area, with topsoil stripped and stored before being re-spread once earthworks are complete. Mr O’Malley says Millbrook has been working alongside the Friends of Lake Hayes and the Otago Regional Council to support their initiative to discharge off-peak water from the Arrow River irrigation race to Mill Stream (which runs through Millbrook into Lake Hayes). “They believe this will help enhance the water quality of Lake Hayes and we have the means to provide them the link between the Arrow Irrigation Company pipe and Mill Stream,” he says. The ORC is part-way through a plan change process that will see a minimum flow placed on the Arrow River, from which Millbrook currently sources its golf irrigation water via the AIC. The minimum flow process would pose a risk to Millbrook’s golf operations, as it’s sand-based tees and greens, installed to meet international PGA specifications, require daily watering. “To guard against this risk we’re also constructing a 30million-litre water storage lake on the farm land,” says Mr O’Malley. The new 36-hole format at Millbrook s been described as a ‘game changer’ for the resort, effectively adding 100% golf capacity with two fully operational 18-hole courses that can be operated simultaneously. It’s being welcomed by the growing number of Millbrook Country Club members who will be able to play an ever-changing private members’ course on a daily basis, as well as another for tourists and locals. It’s also good news for the long-term future of the New Zealand Open, currently hosted at Millbrook in conjunction with The Hills golf course. Ben O’Malley says the resort is “ecstatic” to be getting underway with the development. “It’s been over four years since we first bought the former Dalgleish Farm land with the dream of adding to the resort,” he says. The land has provided a fantastic opportunity for the golf course team, as well as lending itself to the development of two discretely and geographically-separated residential neighbourhoods. The original 1860’s farmhouse will also stay on the land, with some sympathetic additions. A Queenstown building company renowned for quality standards in workmanship and ‘ultimate pride in the job’ has struck gold, again. AJ Saville Builder Ltd was named Supreme House of the Year Award winner for a Queenstown home at the Southern Registered Master Builders 2018 House of the Year gala dinner this weekend (Saturday July 21). In addition to the Supreme accolade, the company also scooped multiple gongs for the same home with a Craftsmanship Award, Heart of the Home Kitchen Award, Gold Award and Category win in the New Home Over $2 million division. The multi-award-winning company had a second home in the awards, which also won Gold and a GIB Show Home Category awards for a Millbrook Country Club property. Arrowtown-based owner and founder Allister Saville says the seven awards are testament to the hard work and dedication of his team of over 35 tradesmen, sub-contractors and suppliers. “It’s a winning result for everyone involved,” he says. “The immaculate detailing and craftsmanship of the Queenstown home won over the judges, and we’re delighted with the feedback. “This project was a ‘once in a lifetime’ build for our tradesmen and subbies, delivering a home with this level of bespoke requirements. “The client, builders and designers all worked in harmony, and it’s demonstrated in the immaculate finish of this four-year build. The substantial 802sqm four bedroom, four-plus bathroom Queenstown home is a collection of different building types, functions, cladding and internal finishes, all centred around a sunny courtyard. The judges were most impressed with the immaculate detailing of curved glass galleries linking stone buildings to the kitchen, lounge and living areas. The project was constructed in keeping with historic buildings of the Queenstown Lakes district, using local stone and steep-pitched slate and iron roofs. The energy-efficient Millbrook Country Club show home, designed by Mason & Wales Architects, exudes modern class and a subtle French feel with all the charm and character of a traditional Central Otago cottage. Allister says the show home is a timeless design that epitomises the sophisticated rural elegance and character that is world-class Millbrook Resort. “A show home demonstrates the very best standards in your work and I’m honoured to work in partnership with Millbrook Resort to deliver functional, spacious and energy-efficient homes at the resort,” he says. A total of 13 Gold Award winners from the southern region will now be judged against Gold Award winners from around the country to identify the National Gold Reserve finalists. Those finalists will go head to head at the Registered Master Builders Supreme Awards for House of the Year and Renovation of the Year on November 24 in Auckland. Mt Cook Alpine Salmon has announced the appointment of Sir Bill English to its board of directors, effective August 1 2018. Board Chairman, the Rt. Hon Jim Bolger says Bill’s profile is obviously well known throughout New Zealand. “His recent retirement from politics gives him the opportunity to apply his talents and unquestionable belief in New Zealand, helping a fast-growing company like ours realise its potential for the benefit of shareholders and NZ Inc,” he says. Mr English is delighted to be joining the board of Mount Cook Alpine Salmon. “I am looking forward to joining a southern company producing a world-class product that is doing extremely well in high-value export markets, and I hope to contribute to its ongoing success,” he says. Mr Bolger says the continued success of Mt Cook Alpine Salmon depends as much on the performance of the organisation as it does on the product. “I am confident that Bill’s strong relationships within New Zealand, along with his developed international experience, will prove invaluable as we continue to expand our business,” he says. 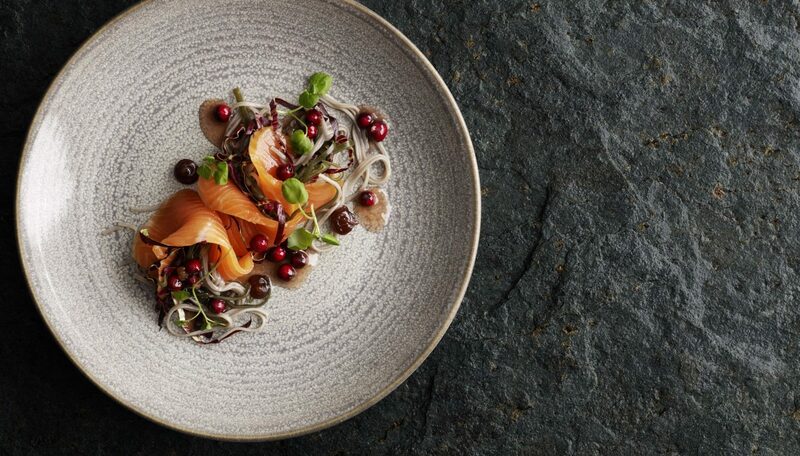 Mt Cook Alpine Salmon operates its aquaculture business in the heart of the Mackenzie district at the foot of the Southern Alps and sells its Freshwater King Salmon to high-end customers around the world including Australia, UAE, Singapore, Hong Kong, China and the US. The company operates two hatcheries; has a primary processing plant in Timaru along with a secondary plant in Christchurch where it produces its popular Aoraki smoked brand. The company employs 175 staff.